The watchmaking world is built on partnerships and sponsorships. 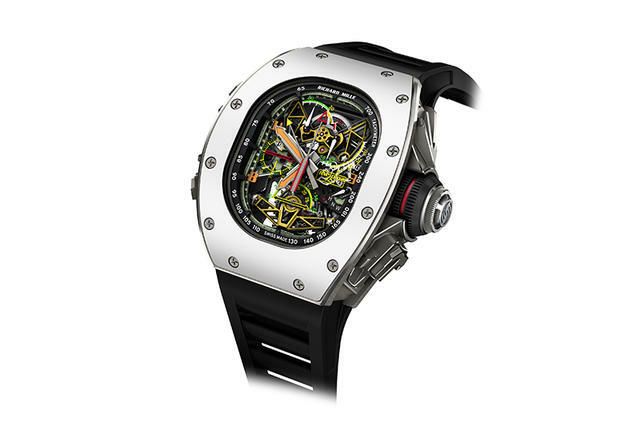 Richard Mille takes the concept to the next level. Take a quick visit to their website and a large percentage of their releases are done in collaboration with partners like Le Mans, Rafael Nadal or Airbus. iW recently sat down with Tim Malachard, head of marketing at Richard Mille to discuss the watchmaker’s many partnerships. The aviation and watchmaking world aren’t so different. When Richard Mille announced their partnership with Airbus, it sounded a bit off, but the two share both clients and innovative technology. Richard Mille is all about their cutting-edge technology and wants to push the limits in construction with composites like titanium. The jet company noticed that many of their own clients were wearing Richard Mille watches and this great partnership was formed. The RM 50-02 ACJ Tourbillon Split Seconds Chronograph is a limited edition of thirty pieces, only available in Richard Mille boutiques. As a split-seconds chronograph, the watch offers numerous useful functions. The user simply presses the pusher at 4 o’clock to stop the split-seconds hand in order to read an intermediate time while the chronograph is engaged. The RM50-02 tourbillon caliber hosts a power reserve indicator between 11 and 12 o’clock, a torque indicator to show the watch’s state in each of the positions for winding, neutral and hand setting. Looking at the watch’s crown, the wearer will find an engraved, wave-patterned Airbus logo. The watch was launched at this year’s SIHH in Geneva, Switzerland and stood out among the newest releases. In the late 1960s Bruce McLaren started a Grand Prix bearing his name for the very first time. The name would go on to become one of Formula 1 racing’s most enduring and competitive teams so far. Their partnership with Richard Mille allows the watchmaker’s timepieces to be on the team’s world champion drivers Fernando and Jenson Button. Like the Airbus collaboration, McLAren-Honda and Richard Mille both are trying to innovate their technology every year and have a dedication to modern design.